Garlic lovers rejoice! This delicious pork loin recipe calls for 10 cloves, along with several other spices that you likely already have on hand. You might also appreciate that you have to open that bottle of wine early as it’s an ingredient on the list. Blend the first 8 ingredients in a food processor until the mixture is finely chopped. 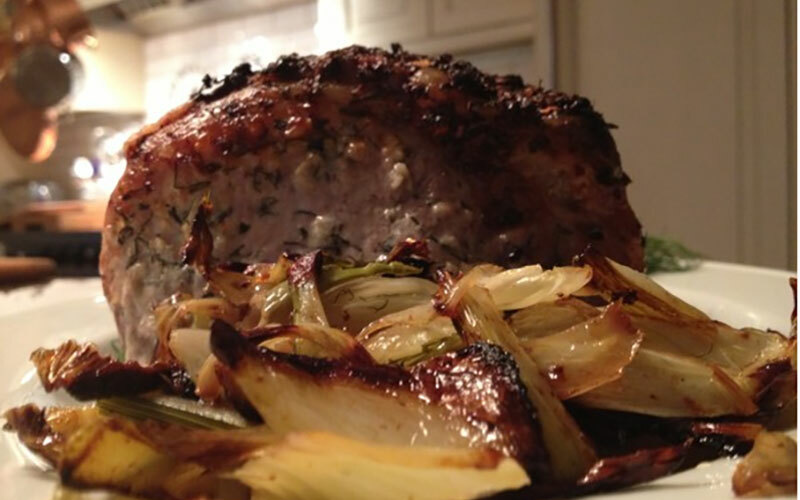 Using the tip of a small sharp knife, make about twenty 1 ½ inch-deep incisions all over pork loin. Press 1 generous teaspoonful of pancetta paste into each incision, rub remaining paste over the outside of the pork. Arrange bay leaves in the bottom of the roasting pan. Place pork loin atop the bay leaves. Cover and let pork stand at room temperature for 2 hours. Preheat oven to 375 degrees F. Sprinkle pork with salt. Transfer pork to a cutting board and discard the bay leaves. Transfer the pan juices to a small sauce pan and skim the fat from the top of the juices. Boil until the liquid is reduced by half, about 4 minutes. 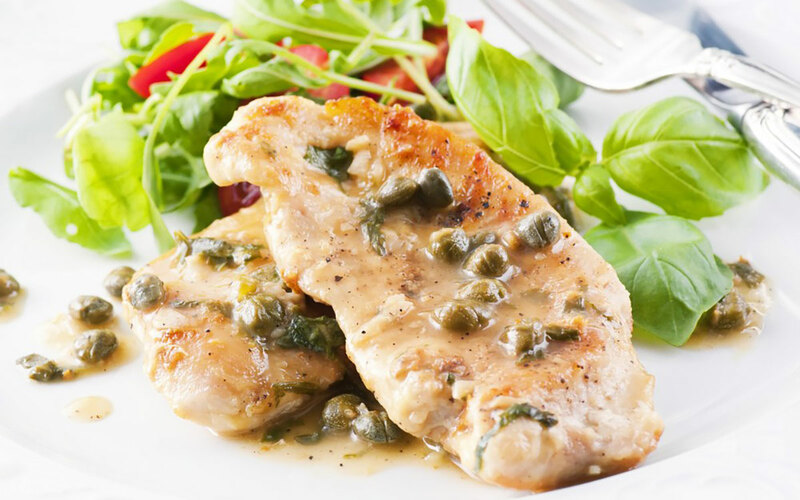 Enjoy this dish with Vin Bon Pinot Noir and 3 of your closest friends.